How do I edit a Worksheet (copy, cut, paste, merge items in a Worksheet) in MeasureSquare 8? – Measure Square Corp. 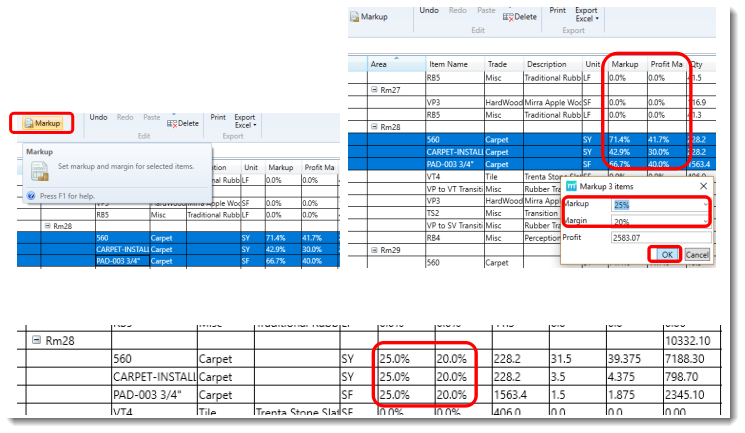 In this article, we will walk you through some common editing methods applied to product items in a Worksheet in MeasureSquare 8. 1. 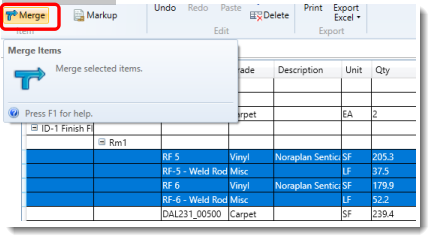 Cut a selected item in a Worksheet. To cut a selected item, left-click to select one line item and select Cut command. 2. Copy and paste an item in a Worksheet. To copy and paste an item, select line item click Copy, then select Paste command. The pasted item will appear at the bottom of the list. 3. Delete an item from a Worksheet. To delete an item from worksheet, left-click to highlight it and select Delete command. 4. Merge multiple lines of items. To merge multiple line items into one, hold down Ctrl key and left-click to select more than one item. Then click Merge command. Merged Items will now show as a single line item. 5. Move an item up and down. To move an item up or down, left-click to highlight it and click Move Up or Move Down command to move it up or down by one item. Click the command as many times as needed to move to desired location on list. Undo/Redo to undo a modification to a worksheet click Undo, to re-apply a modification to the workstation click Redo.